Sheila Roberts had been looking for a way to bring more people to downtown Bremerton. In starting the city’s first Ladies’ Night Out, she’s most definitely sweetened the deal. Roberts, a best selling author who lives at Lake Symington, has been working behind the scenes for months to coordinate with more than 40 stores and restaurants downtown and in Manette to create the event, running from 5-8 p.m. Thursday. 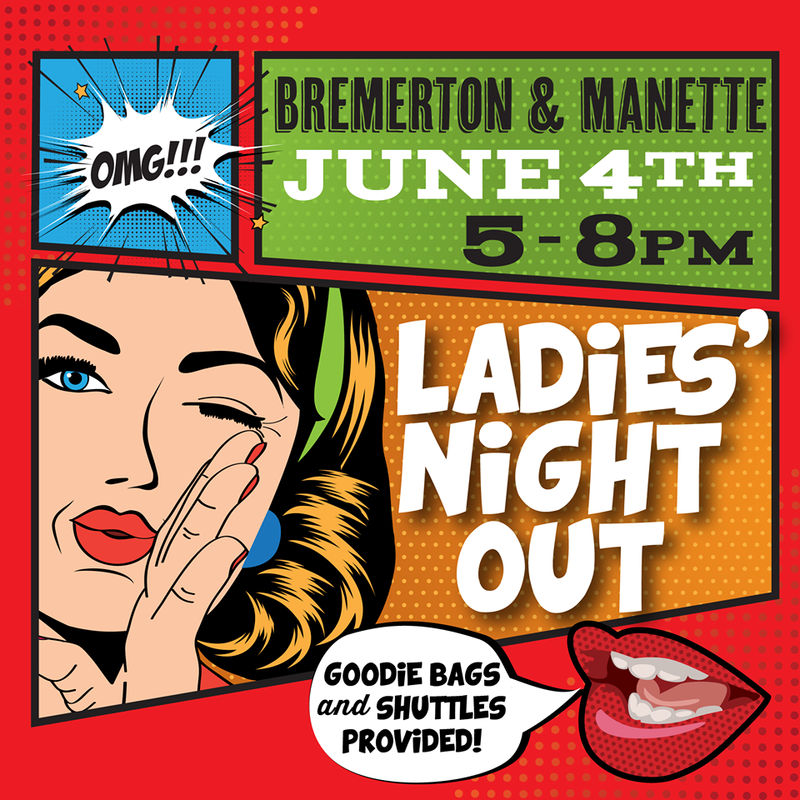 “We would just like people to see there’s fun things to see and do right here in Bremerton,” Roberts said. I will refer you to the maps below for a full listing of all the goodies and services that are free of charge or discounted. But it includes everything from chocolate to massages to signature drinks. 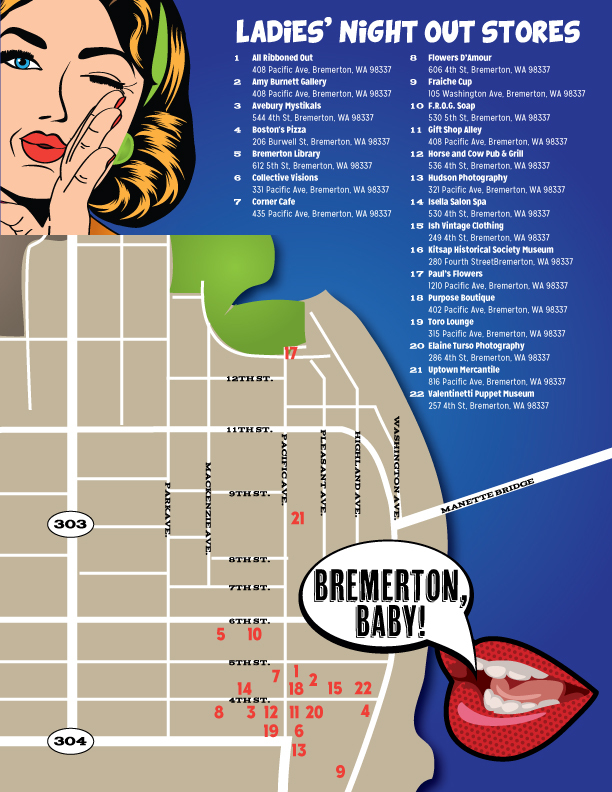 Things will kick off on Fourth Street, between Washington and Pacific avenues, at the Bremerton Chamber of Commerce. Bags and a free gift — one of Roberts’ books — will be provided. “We’re hoping we’re going to get people who haven’t checked out Bremerton in awhile,” she said. 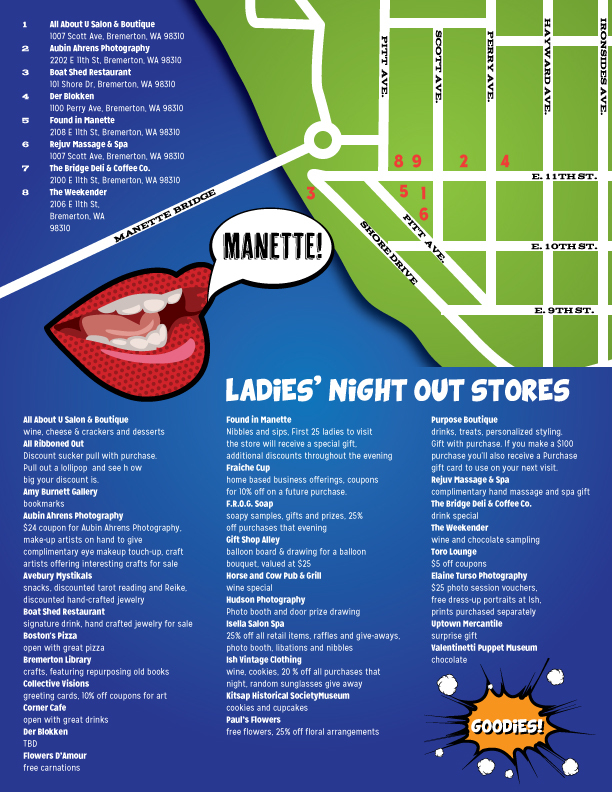 Cabs will be provided to get people from downtown to Manette and back.